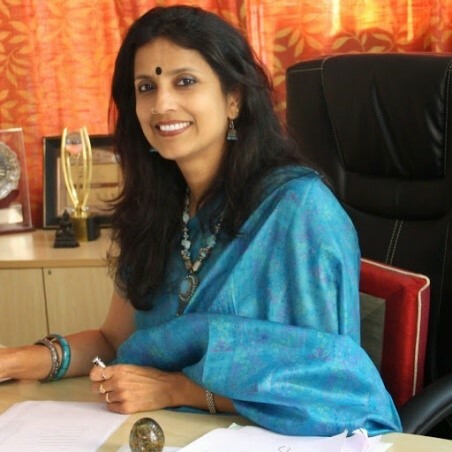 Ms. Shanthi Menon is the founder principal of Deens Academy. She has been honoured with an award of recognition for her contribution to society, on the occasion of Womens’ Day, 2011, by His Excellency Dr Joseph V G, Honorary Counsel of the Republic of Maldives in Bangalore in partnership with The Garden City College, Bangalore. 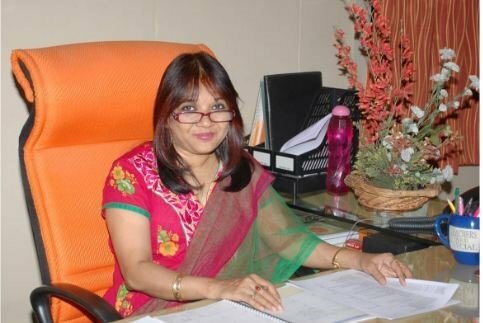 Shanthi is also the recipient of the ‘Chanakya Award’, The Best Principal, jointly presented to her by Education World and The Bangalore School. She is also a trained Bharatanatyam and Mohiniattam dancer, a trained carnatic musician and is a creative artist who gives life to Tanjore paintings as well.In this interview, Ms. Shanthi speaks of how important it is for a teacher to make a child believe that he/she can change a society, and importance of creating a uniform system of education, across the country. 1.As a recipient of ‘Ideal Principal Award’, what according to you are the necessary elements to be a successful principal? Ears to the ground- anticipate and mitigate in every area of the school space; democratic feedback process from all stake holders- colleagues, children and parents; Get off the ‘arm chair’ and walk the talk by being a teacher, student and learner; stay involved in every sphere of the school; work with a heart; stay humble about the fact that you are tasked to make a difference in every child who has been handed over to you. These are implicitly factors that govern my day. Not sure if this is in tune with making me an ideal principal! 2.What/who inspired you to take up teaching as a profession? Even as a little child, I was fascinated by the power my teachers possessed as they rolled their eyes & wielded the cane. I wanted to be that powerful teacher! Then as I grew up, I realised the power they had over influencing generations of students- they were the real change makers! This was the power that directed my choice of profession. 3.You have been in the education space for more than 24 years. How different or similar is the school education space now, from how it was back then? Everything has evolved from what it was when I started as a mere teacher. The perception of a school from a parents view – it’s a one stop platform for every aspect of education. So the onus on the school is humungous; the kind of students, their needs and abilities – awareness is high, their need is channelization of their learning energy; the kind of teachers and their aptitude – the teacher is a corporate professional, who has high competency, but works on his/her terms; pedagogy – from knowledge gathering to exploration, application and innovation; educational objectives – knowledge gathering is lowest in goal. It is imparting values, attitudes, skills and making a student globally ready citizen. 4.Your school has a unique theme every year, this year being ‘Sustainability’. Please elaborate on this. 5.With the advent of technology into classrooms, how do you view the future of education in India? Technology can aid in imparting content; presentations; explanations…the gamut of student needs. But technology will never be able to replace what a teacher brings to her student – the personal touch! On a different note, technology will be rampant tool used for assessments, adaptive learning, communication, etc. 6.If given a chance to change one thing in the Indian education system, what would you change and why? You have just opened a Pandora’s box! Given a chance I would wish for a fairy to swish her wand and change many things about the Indian education system. But critically the starting point of change would be creating a uniform system of education, across the country, that offers a systematic progression from kindergarten into higher education, wherein the child is able to choose what he wants to study beyond primary school based on his interests and life goals. 7.Today, we are all aware and informed about learning disabilities in children. Do you have any suggestions or thoughts on how schools can become more inclusive to children with learning disabilities? To make inclusivity a part of the school’s culture, firstly there has to be senitisation of all stakeholders. Curriculum which accommodates the needs and future goals of the differently abled, should be seamlessly integrated into the mesh of the school. 8.What is your message for young, aspiring teachers? To sound clichéd, a teacher impacts a generation. Step into this coveted profession, knowing this responsibility is yours. Create eureka moments of every experience for yourself and your learner – thus enjoy what you do. It is the toughest to work with the younger children – so growth (for yourself) is only in terms of student progress and not of climbing the hierarchical ladder!